For six non-stop weeks, the Texas weather was dreadful. Residents were experiencing multiple tornadoes, large hail, heavy rainfall and flooding causing the dams to breach. More than 100 counties were affected by this treacherous weather. (Wisconsin only has 72-counties; so this was a massive area) American Red Cross chapters throughout Texas helped residents affected by opening 60 shelters, served more than 350,000 meals and snacks and engaged 2,300 trained Red Cross responders. 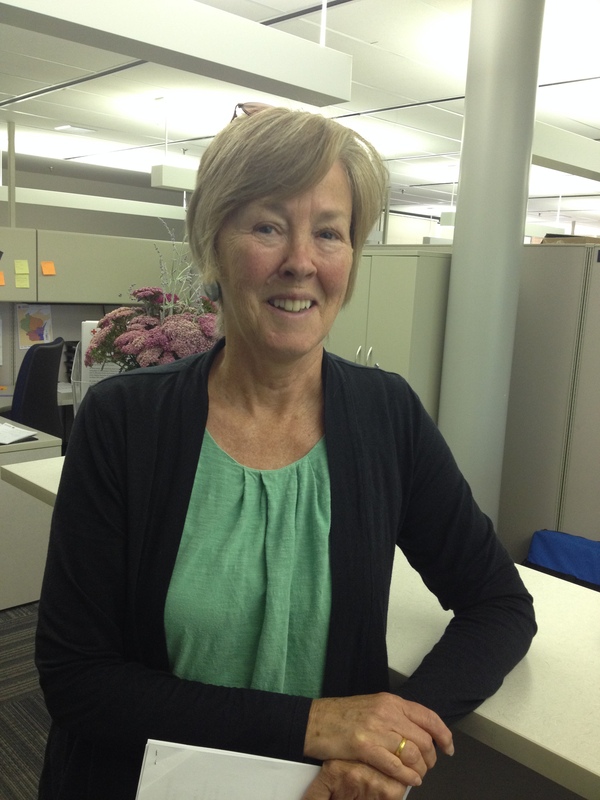 Wisconsin provided 42 responders; this is the first-hand story of our own Mary Gagnon. On June 15, the Red Cross asked my husband Dean and I to deploy to Houston, Texas to help with disaster relief. Both of us volunteer with the Red Cross and reside in Texas AND Wisconsin. We arrived on the 16th and were reminded immediately of the heat and humidity that sends us back north each spring. After a week of providing shelter and food near Houston, we were reassigned to the Rio Grande Valley, near the tip of Texas. Coincidentally, this general area is where we live during the winter. And our ‘hometown’ Red Cross Chapter there became headquarters. There were so many people with so few personal resources. Residents told us of flood waters three feet deep in their homes and side streets were impassable for days. When we found an unflooded driveway, we parked the Emergency Response Vehicle (ERV), which contained water, food and hygiene kits. There, we asked people to phone neighbors down the street to let them know we were there to help. Invariably, word travelled fast, and people lined-up to receive what they needed and wanted: hot food, bottled water, Clorox, shovels and mosquito repellant. When there were still items remaining in the ERV, which is a large ambulance sized vehicle so we could haul large amounts of supplies, we drove to a nearby street and started the process again. 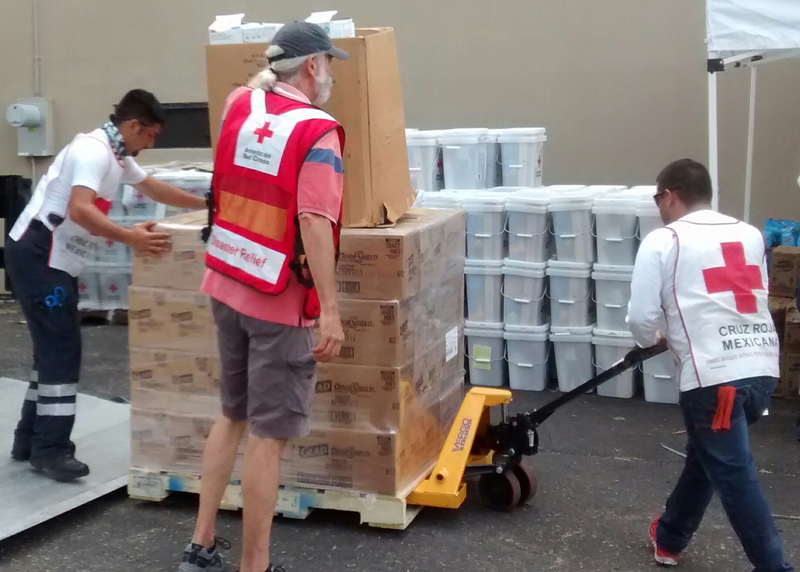 The American Red Cross increased its staffing resources when Cruz Roja Mexicana (Mexican Red Cross) arrived. As the flooding decreased and people could get out of their homes, the Cruz Roja site provided necessary cleaning materials and, just as importantly, the ability to respond in Spanish to needs and stories provided by those flooded out of their homes. We felt fortunate to work with Cruz Roja! They understood the community needs; the difficulties of the weather and the support needed to bring back ‘normalcy’ to Hidalgo and Cameron Counties. The following week, on our way back to the local Red Cross Chapter to re-fill our ERV with cases of water and clean-up materials, we stopped at a gas station. 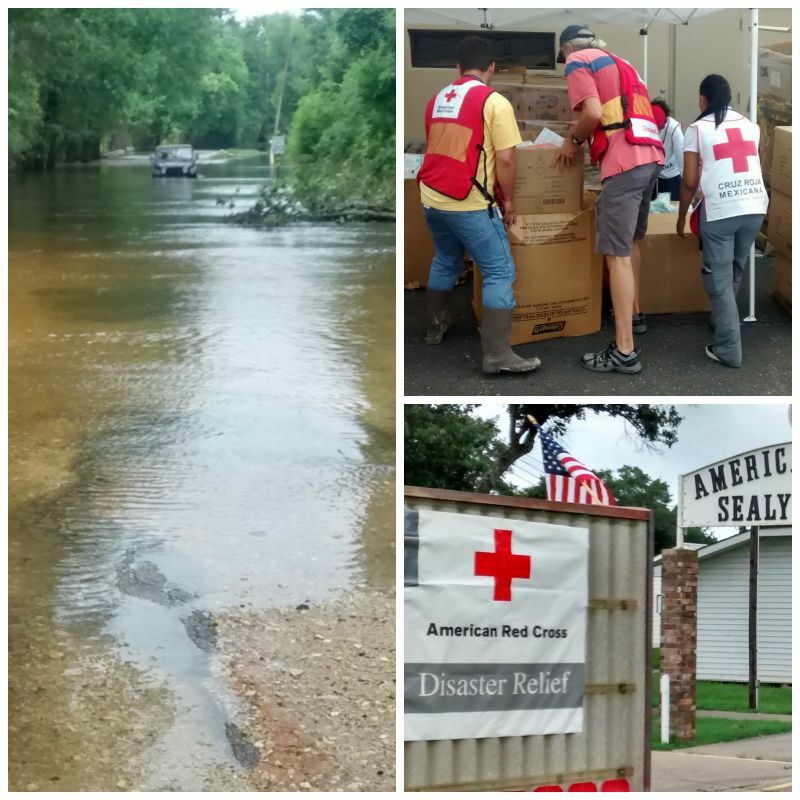 The search-and-distribute system of helping home owners during the recent Texas floods brought much-needed supplies directly to people considering the scorching 96 degree weather. This system created a need for us to get just a few minutes of rest. An ice cream bar and air conditioning altered my core temperature just enough to make getting back on the road OK. But it was the unexpected ‘coolness’ of hearing The Spinners singing on the store’s music system that recouped my energy! With only the bathroom mirror watching, I danced to ‘Rubber Band Man’ with all of my best ‘60s and 70s moves. Upon returning to Wisconsin for the ‘summer’ they were deployed to Columbus, Wisconsin to open an evacuation center/shelter for people affected by the July 13th 90-mile per hour winds. Two (states) plus two (disasters) really can equal ONE RED CROSS. To begin your own Red Cross adventure, please check here for volunteer opportunities. When walls come tumbling down and dozens of residents are evacuated in the middle of the night, who comes to help at a moment’s notice? The American Red Cross is the answer. In Beloit, there was a wall that collapsed onto the Brittan House, a transitional housing facility, early in the morning. The Brittan House is located in downtown Beloit, the building is 140 years old and is home to 45 residents. The Beloit Fire Department was called to the scene and deemed the building unsafe for residents because the east side of the building was weakened from the collapse. The residents had to vacate the building for safety purposes. At this point, no one was injured and with safety being most important,a full-evacuation was ordered. Meanwhile, the local Red Cross responders arrived at the Brittan House while another team opened a shelter. The Beloit Transit System provided transportation from the Brittan House to the McLenegan Elementary School. With Memorandums of Understanding already in place with the Beloit School District, the shelter was ready upon the bus arrival. The Red Cross provided a place to rest, emotional support, hygiene kits and our health service professionals to fulfill health emergencies due to the stress of the situation. The next morning, our team supplied a hot breakfast for the residents as they waited for the building to be deemed safe for residents to return. Thankfully, engineers and local officials deemed the building structurally sound. We then assisted residents back to their home. We are thankful for the Beloit Fire Department, Beloit School District and the Beloit Transit System for their collaborative efforts. This emergency situation highlights how our community works together to help their neighbors no matter what time it is. See footage from the Regional CEO at the site of the wall collapse. 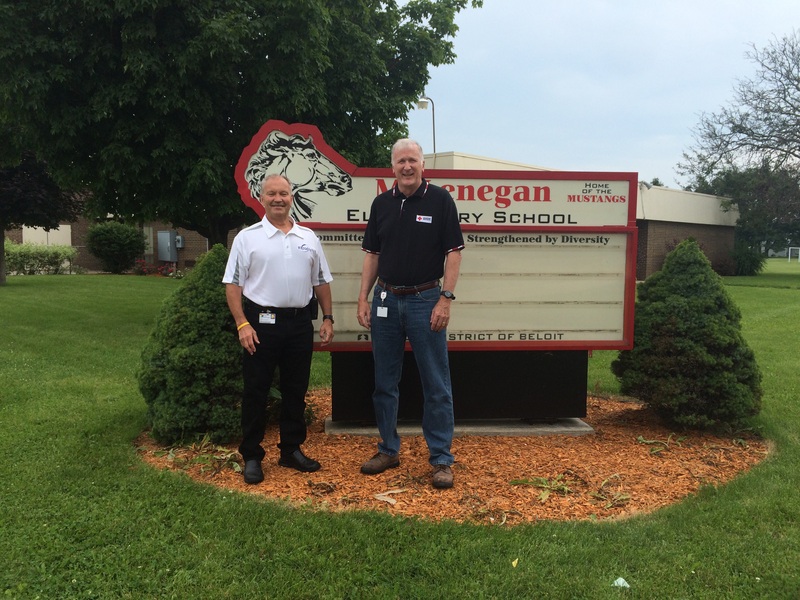 Tom Mooney, Regional CEO, and Dan Stauffacher, McLenegan School Safety Coordinator at the location of the shelter. None of this would be possible without our 24-hour a day trained volunteers, partners and generous donators. 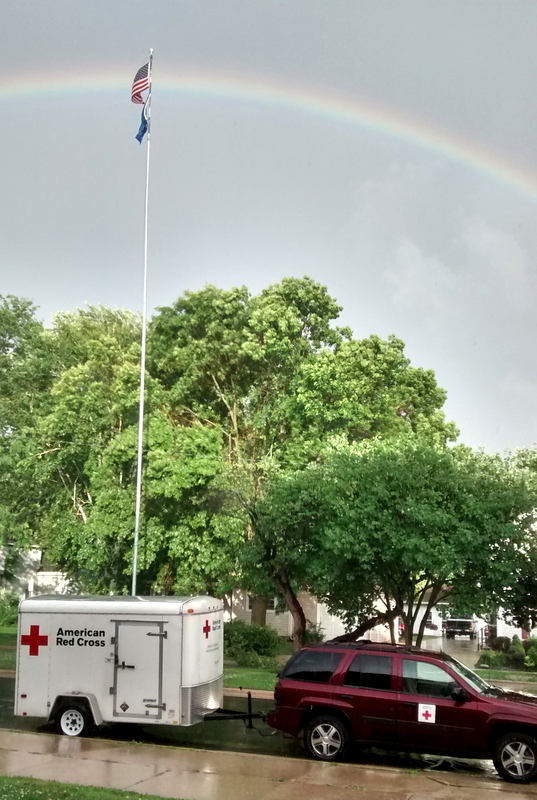 To become involved and support the Red Cross in your community, please visit http://www.redcross.org.